After a romance lasting just shy of two years, George Harrison married Patricia Anne Boyd at Epsom register office, Surrey. I bought a Mary Quant pinky-red shot-silk dress, which came to just above the knee, and I wore it with creamy stockings and pointy red shoes. On top, because it was January and cold, I wore a red fox-fur coat, also by Mary Quant, that George gave me. She made George a beautiful black Mongolian lamb coat. The ceremony took place early in the morning at Epsom register office, in Surrey, not the most glamorous place, and the room was very hot and stuffy. Brian Epstein was there and Paul McCartney, who was George's best man. Otherwise it was family – my mother, with her cousin Penny Evans, who had been around a lot while I was growing up. Colin, Jenny, Paula, David and Boo, George's parents and brothers. Uncle John, my mother's twin brother, gave me away. John Lennon and Ringo Starr were on holiday and couldn't attend the wedding. There was no shortage of pictures of us leaving the register office. We came out into the street to find dozens of press photographers lined up outside. So much for keeping the whole thing secret. The happy couple left the register office in a Rolls-Royce Princess, for a reception at Kinfauns, their bungalow in Esher. The following day they held a press conference, and flew to Barbados for their honeymoon on 8 February 1966. I saw a documentary that mentioned Brian Epstein encouraged George and Paul to marry in 1965 due to death threats. Paul didn’t want to get married. George was paranoid so he married. Sorry, I just have a hard time believing based on all I have read, that this was some great romance. There was heavy drug use, other woman…etc. Pattie was pregnant with Georges son. That is why they married , the son was later put up for adoption. because record sales couldn’t handle another scandal after the more popular than jesus. Adoptions are secretive in nature . if you really look its plain as day. She was pregnant on her wedding day . the son she gave birth to was a little over 5 Lbs. George and Pattie giving a baby away for adoption would even be more scandalous. If this particular adoption is so secretive how come you know about it? Your story is full of holes. If you really look its plain as day. Someone doesn’t know. I call BS to your story. If it were true that Olivia Harrison was stealing money from George to pay to keep your birth private, get a court order and have your DNA tested. Then have her financial records checked. It will prove if she’s been handing money over to hide you. It’s done all the time, to disprove insane, greedy people from attacking the estates of wealthy people. Having a very poorly written website with pictures, and a Facebook page is certainly not evidence. I looked at pictures of him; he favors her but not George. I wonder if she was pregnant with somebody else’s child but your right he should petition for a paternity test. If he’s not George’s it won’t affect his family but if he’s Pattie’s then having somebody else’s baby could be bad for business then unlike today where people are so much trashier. Remember the guy who might have been Paul McCartney’s. His mother had slept with Paul and one other guy after Paul and he had a DNA test turned out to be the other guy’s child which the man was happy he didn’t want to be Paul’s son. That’s the only legit case I’ve ever heard. I got to admit I’m surprised as much as they skanked around they were such man whore’s back then that they didn’t have more illegitimate children. Them and a bunch more rock stars. The Pill was around but still was kind of new. Dhani looks just like George as we say in the South he couldn’t have denied him in a court of law! I’ve never heard this story, so it’s likely that it’s made up. The only kid of George that I know of is obviously Dhani. John made his comments about Jesus in March of 1966. And this wedding was in January. At least get your facts straight before you make something up. Why would they get married if they were only going to give the baby up for adoption? And if they were married and they had the baby, why would it be a scandal? Married people have babies all the time. So do unmarried people. Your story makes no sense and I think you’ve made it up or something else told you a dumb story and you believed it. Um…no. Pattie is infertile. She never had children because of it so her getting pregnant is impossible. This wedding was before the Jesus incident which occured several months later during the World Tour . I’ve deleted all but one of the six lengthy comments you left praising Olivia (under two usernames), because this isn’t the page for it. Please try to keep discussions on topic, otherwise they might not be published. Thanks. Doubtful there was much love, but a lot of infidelity, neglect and emotional abuse. 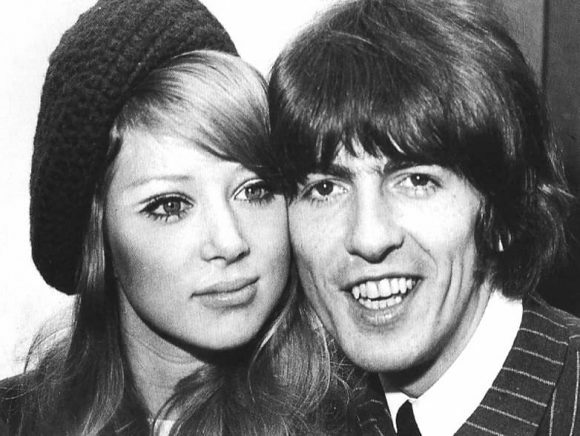 Pattie herself said she was surprised the song was about her when George recently asked for a divorce in 1969. Look, it is so obvious. “Brian didn’t want a big church wedding because he wanted to keep it private.” They didn’t want a fuss, so they invited the press and had a press conference? Sending photographers on their honeymoon is not keeping it quiet. Ringo and Maureen had a quiet church wedding and no press conference? 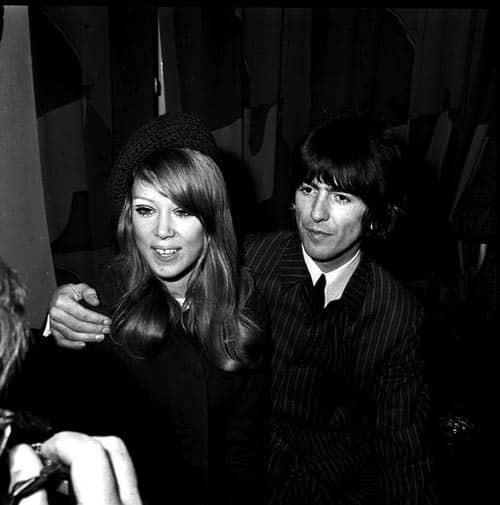 Why did George and Pattie have to have a press conference? It seems suspicious to me. Sounds like they sold Pattie a story…. No- George always said from the mid 1970’s right up to the interview with Paul Cashmere in around 1994 that ‘Something’ was inspired by the voice of Ray Charles. He never waivered. Paul Cashmere: Can you tell me about “Something”. Now, you wrote that about Patti, is that right? George Harrison: Well no, I didn’t. I just wrote it, and then somebody put together a video. And what they did was they went out and got some footage of me and Patti, Paul and Linda, Ringo and Maureen, it was at that time, and John and Yoko and they just made up a little video to go with it. So then, everybody presumed I wrote it about Patti, but actually, when I wrote it, I was thinking of Ray Charles. George Harrison: Yeah, but he’s a better singer. (Laughs) But that’s what I was thinking of. I could hear in my head Ray Charles singing it. Yes there were drugs, infidelities, etc but you can’t deny the two were infatuated with each other for a time & there was a love between them that endured. The map shows Leatherhead registry office which is now the place for Epsom wedding to take place . Epsom registry office was in Ashley House Ashley Road Epsom. Thanks for the correction David. I’ve amended the page, hopefully getting it right!